Pioneer DJ have announced a new performance sampler the DJS-1000. As reported by DJ Mag last week, the new unit has the same form factor as the industry standard CDJ and DJM range, meaning it sits alongside the current format. 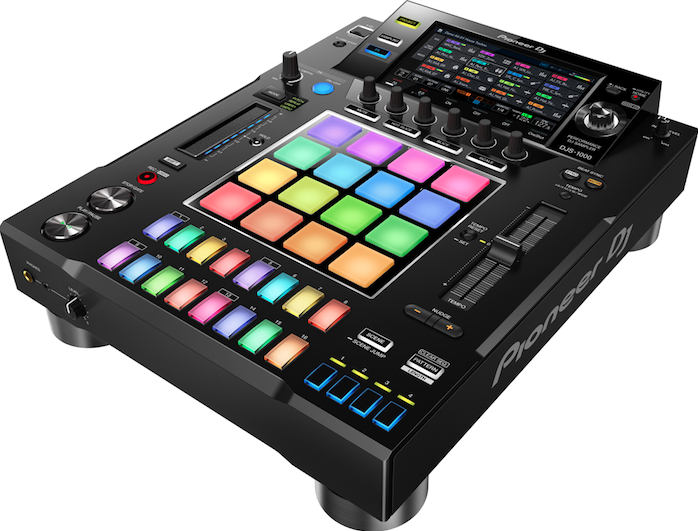 With many of the same features as the current TORAIZ, the DJS features 16 coloured pads, 16-step sequencer, assignable touch strip and colour screen. Round back, there’s an Ethernet port for DJ LINK connection to sync with the current range, inputs for sampling directly into the unit, MIDI DIN ports and balanced TRS jack outs. With so many similar features, it’s unclear what the future of the TORAIZ is, though any projects created on the previous unit can be translated across on the built-in on-top USB port. Additionally there’s new bespoke software for preparing, creating and editing your projects. The DJS-1000 is available now and priced at £1,169. Check out the introduction video and images below.